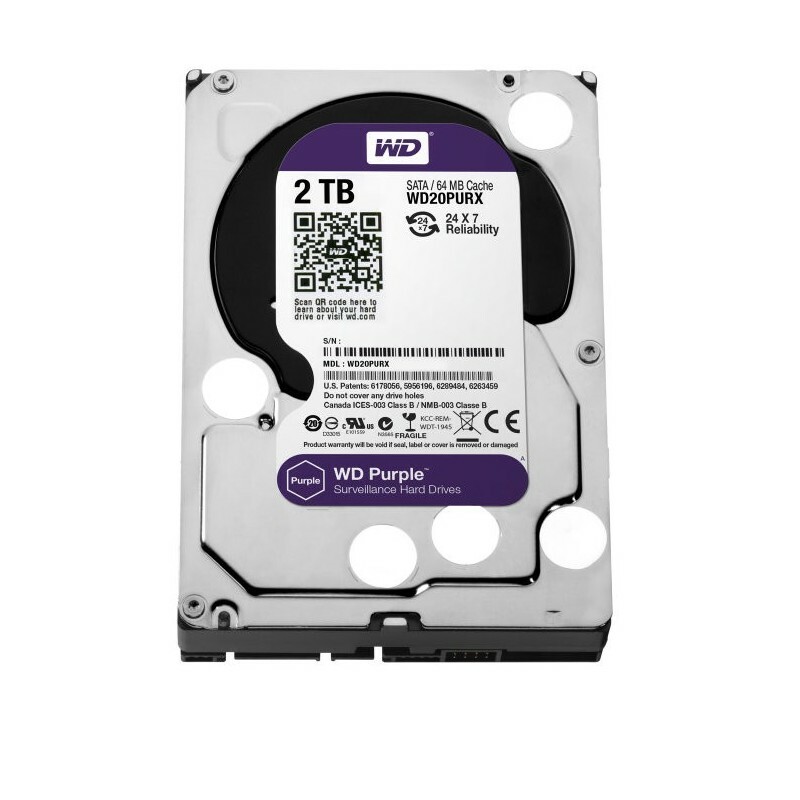 3 TB hard drive in 3.5 "format with SATA 6 Gb / s interface Hard drives for WD Purple surveillance are designed to ensure reliability and quality in video recording and playback of surveillance and security systems that operate 24x7 and, in addition, they support high temperatures. 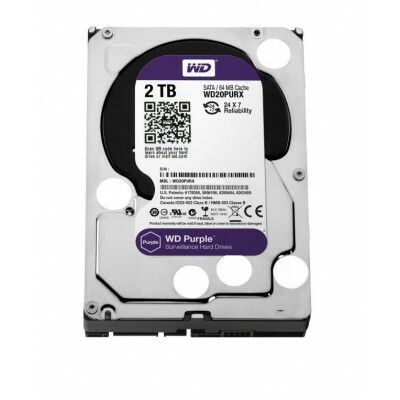 Model WD20PURZ from the manufacturer Western Digital. 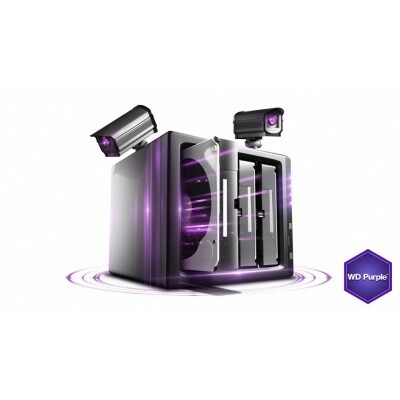 Designed and manufactured especially for storage in Video Surveillance systems of up to 32 HD cameras and 8 hard drives. 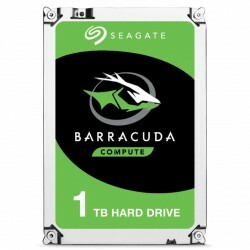 They ensure an optimal functioning of permanent way during the 24 hours, the 7 days of the week, to high temperatures. 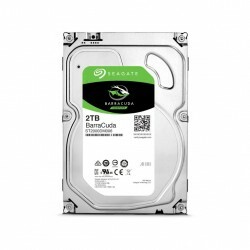 MORE CAMERAS. MORE CLARITY. 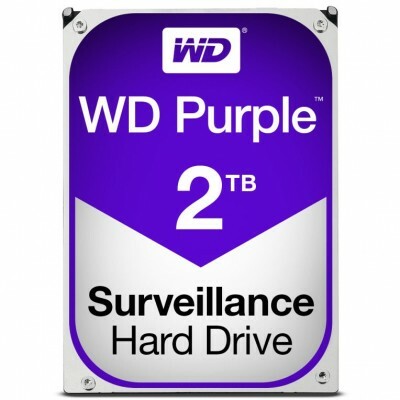 MORE VIDEO SURVEILLANCE. 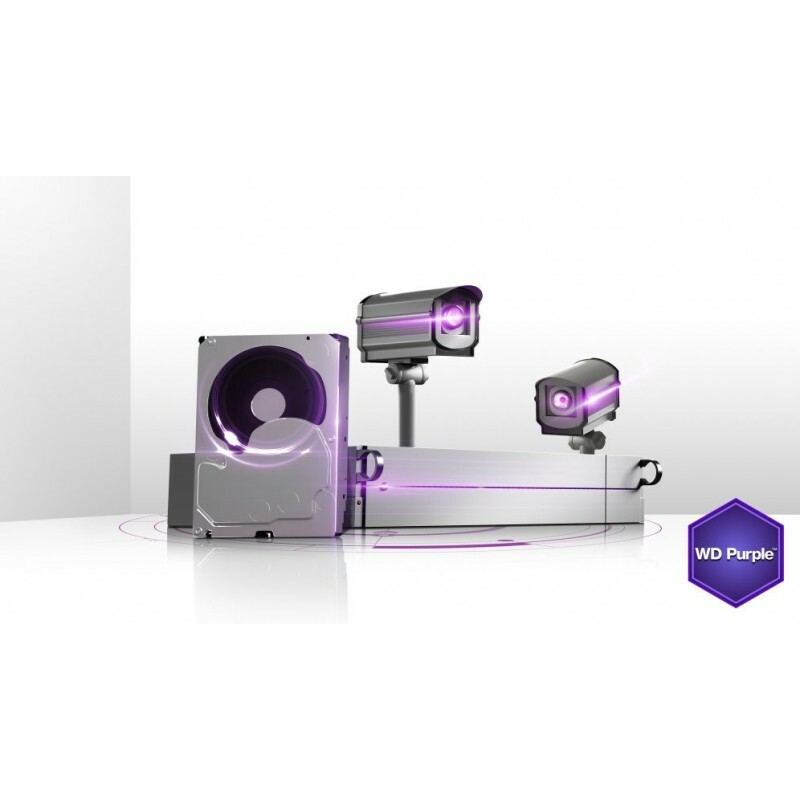 Created for high definition security systems that operate 24 hours a day, every day. 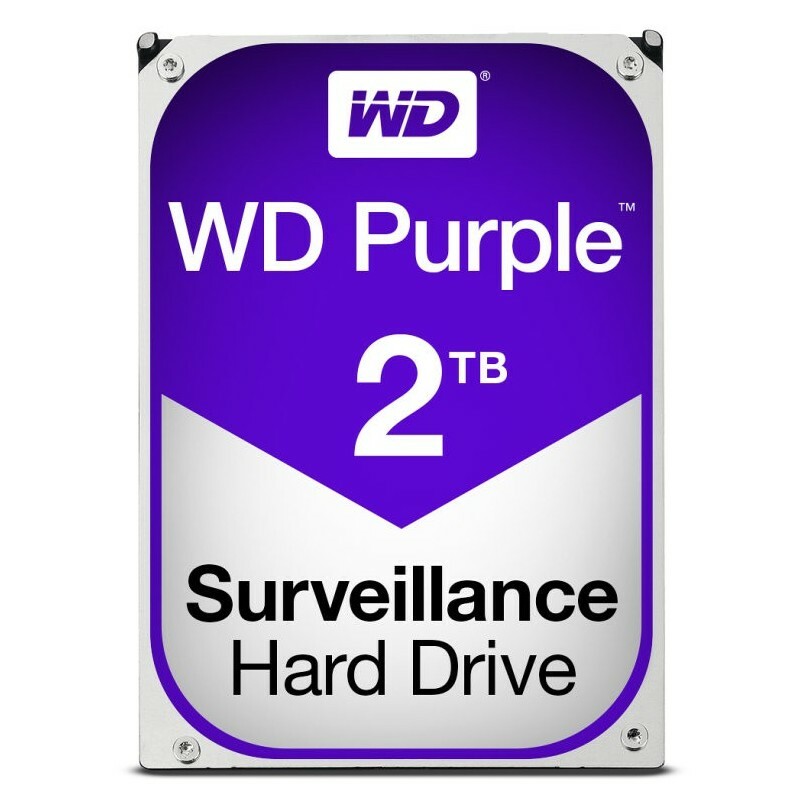 WD Purple disks have a workload of up to 180 TB / year, support up to 64 cameras and are optimized for video surveillance systems. 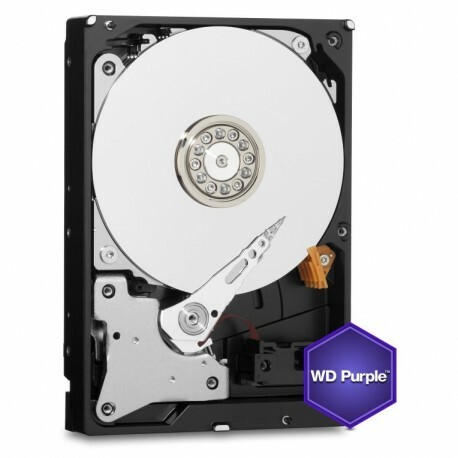 WD Purple discs have been designed specifically for the extreme demands of video surveillance systems that operate 24 hours a day, every day, and reach high temperatures. 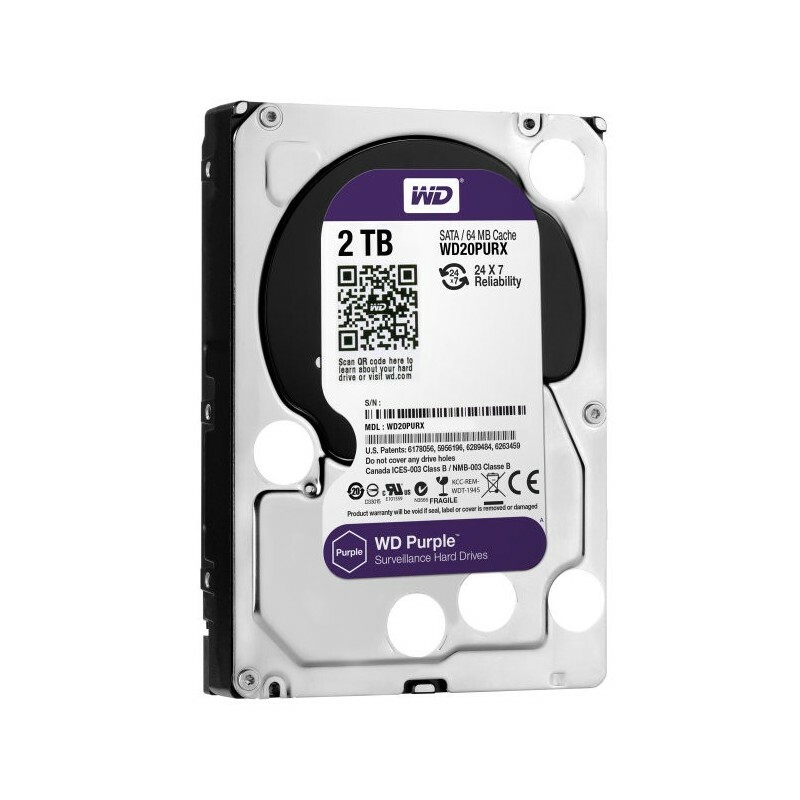 Manufactured by a world leader in the storage industry, WD Purple is designed to play high-quality videos when you need them most. 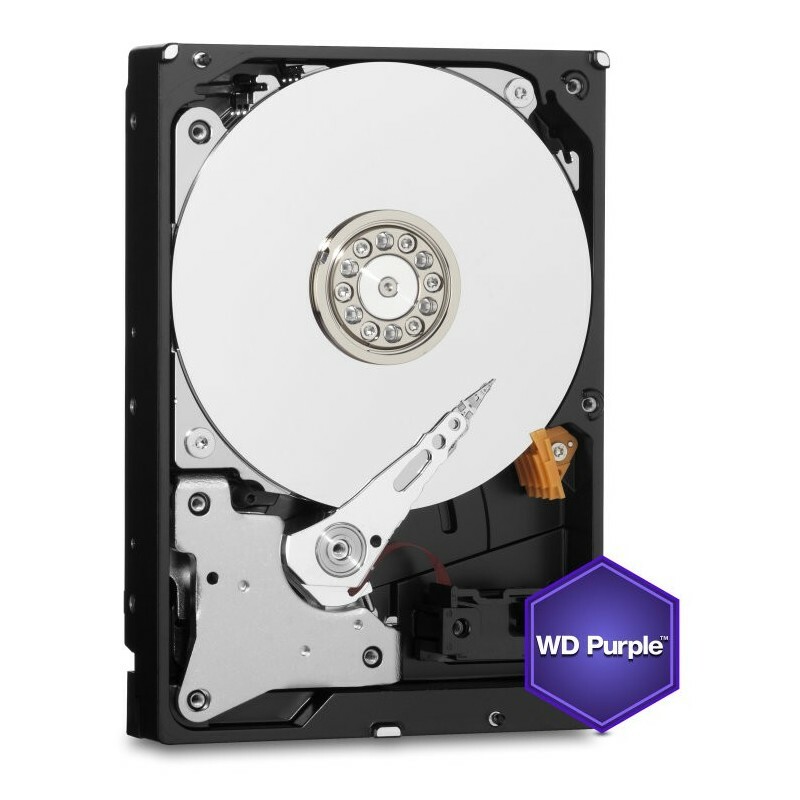 WD Purple hard drives are optimized to support up to 64 cameras, giving you the flexibility to upgrade and extend your security system in the future. 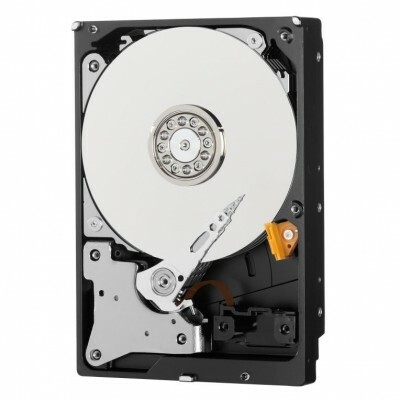 This model minimizes the level of noise, vibration and power consumption, extending the life of the disc compared to conventional HDD. On the other hand, it increases the reliability of audio / video storage using AllFrame technology , which allows to reduce the loss of images, improve reproduction and increase the number of compartments supported. The failure rate is considerably reduced thanks to strict functional integrity tests carried out at the factory. 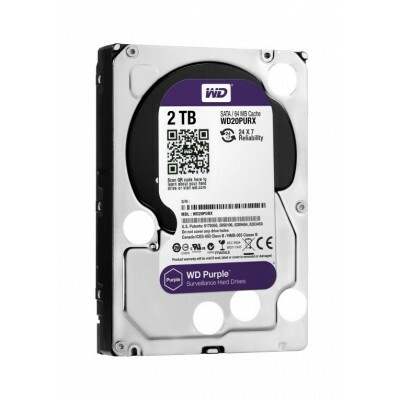 WD Purple discs are designed for personal video surveillance systems, homes or small businesses that use up to 32 cameras, which makes them ideal for homes, for small offices and / or SMEs. 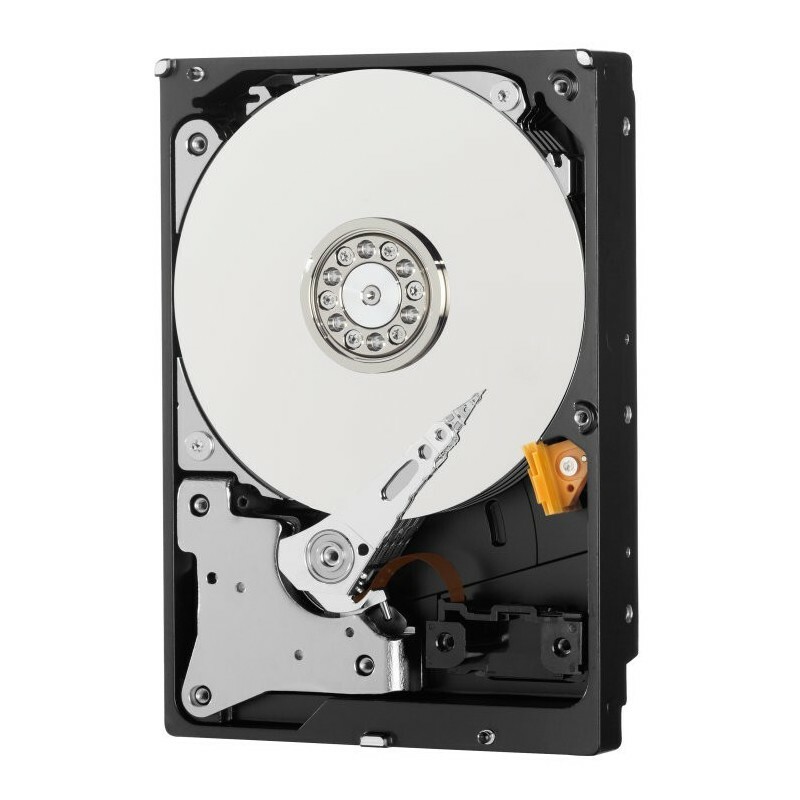 The hard disk is distributed loose or installed in any of our video recorders.